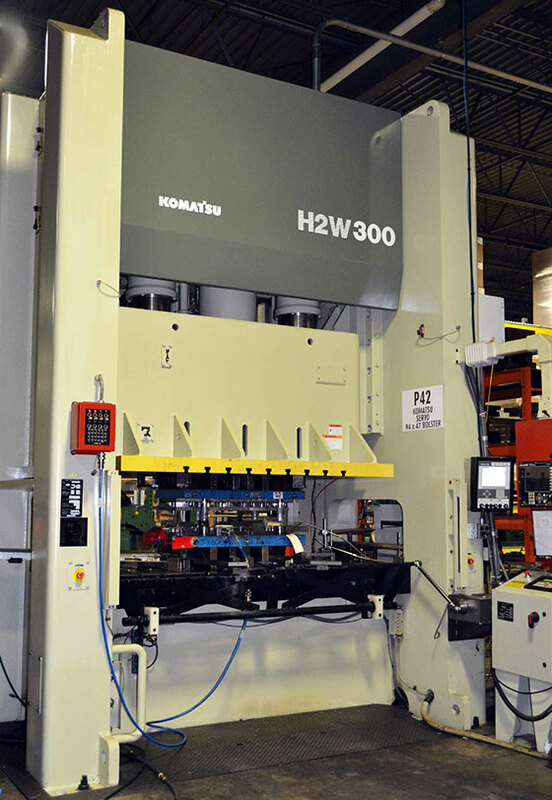 Waukesha® Metal Products utilizes servo press technology to increase the accuracy and productivity of metal stampings, while decreasing tool wear and lowering energy consumption. In a servo press, the motor, clutch and flywheel are replaced by a servo motor and drive system. This allows the press to have three times more available working energy than a standard mechanical press. Waukesha® Metal Product’s engineers continue to explore new opportunities to implement servo press technology, reducing cost and improving the metal stamping and manufacturing processes for our customers. Waukesha® Metal Product’s line-up of fabrication equipment includes a servo-electric brake press. It is equipped with programmable storage, the highest class of linear guides available, and is servo-electric driven for accurate metal forming under the most demanding conditions. Our investment in servo press technology, combined with the latest formability analysis software, allow the team of engineers and toolmakers at Waukesha® Metal Products to be at the leading edge in both developing and executing complex metal forming operations.